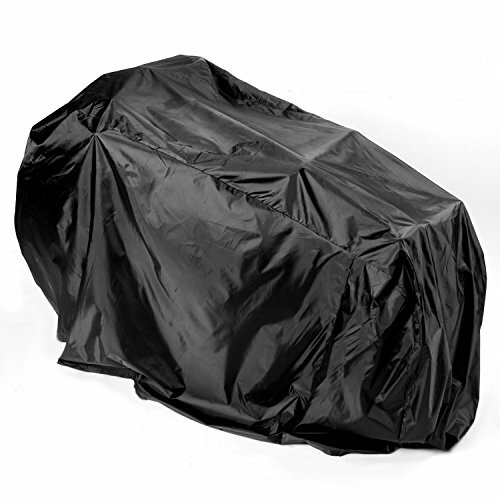 Made from 180T+PU coating, thicker and more durable, this cover protects your 2 bikes from rain, sun, snow, dust and dirt. 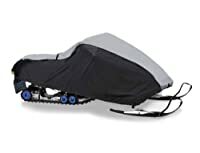 So you won't have to worry about leaving your bikes outside. 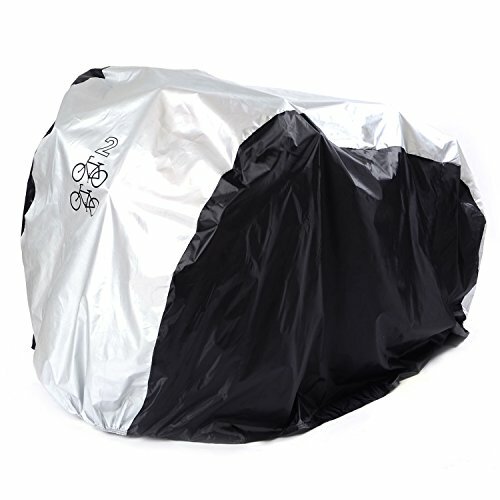 A carrying pouch is convenient for storing your bike cover anywhere. 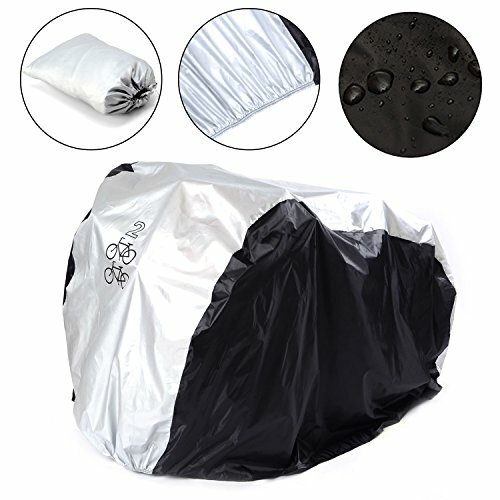 This SAVFY Bicycle Waterproof Cover will give your traveling equipment the protection it needs when out in the elements. This tool offers a waterproof option to keep your bicycle in shape. 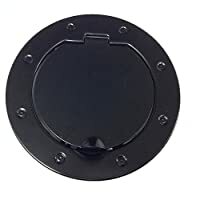 It features a helpful buckle at the bottom which can stabilize the cover on top of the bike, keeping it secure on windy days. 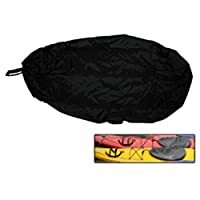 This piece is easy to pack up and transport with you, as well, making it an ideal tool for most any trip. 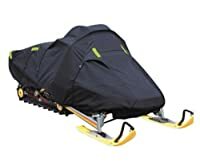 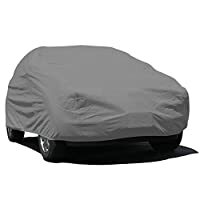 Dimensions:200cm * 75cm * 110cm (ideal for two bicycles) Protects motorcycle against rain, snow, dust and dirt The entire exterior and interior of the cover is waterproof processing.? 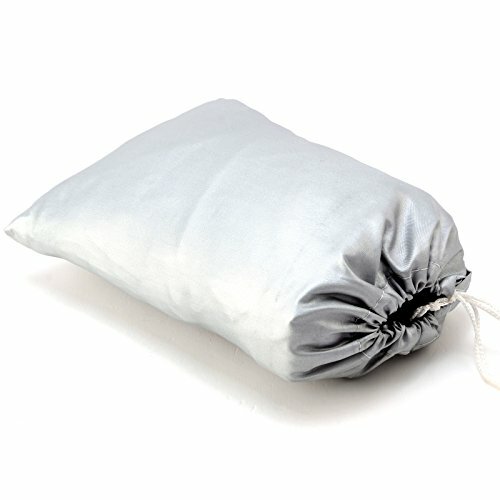 High quality, washable, and durable to use. 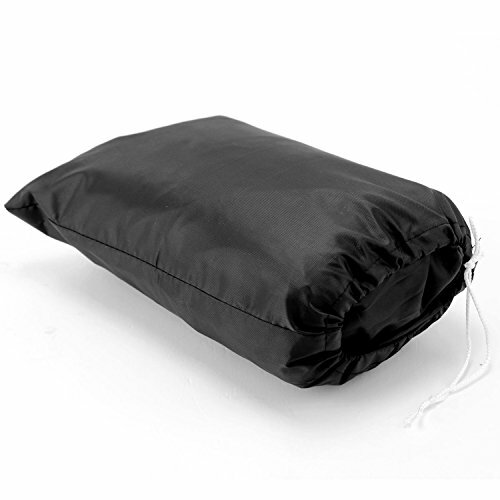 Cover comes with a carrying pouch for convenient storage, when you don't use it.